Is it any wonder that CNN lost 30 percent of their viewership in just the last year? The CNN article in question is headlined “Russian bots promote pro-gun messages after Florida school shooting.” In their very first paragraph they inform readers what their headline did not, which is that the headlined assertion is nothing more than a claim from a shadowy “monitoring” group. That group is Hamilton 68, which claims to monitor 600 accounts “linked to Russian influence operation,” yet they do not say what accounts they are supposedly tracking and offer absolutely no proof that any of the accounts are “linked” to Russia. No, they just expect people to believe their assertions, which obviously CNN does, as do other MSM groups, even with no ability to “independently verify,” their findings, because who needs confirmation if the narrative plays into their agenda? Why do we refer to Hamilton as a shadowy group? 1) It was created after the 2016 election and its “advisory council,” is full of #NeverTrumpers who supported Hillary Clinton and screech about Russia as often as the MSM has over the last year; 2) They offer no justification, proof or transparency for their so-called data and percentages listed; 3) On any given day, Hamilton’s claim of top hashtags promoted by Russian-linked accounts that only those at Hamilton know the names of, are the same hashtags that almost everyone on Twitter are using, because that is what hashtags are geared for, getting attention to the message; 4) The background of the ‘staff’ running the site. Nah, she doesn’t have any reason to excuse her failure with messaging and strategy helping the candidate that every single liberal media outlet tried to help win, to lose, by blaming it on those nasty Russian bots. Before that Rosenberger worked for the Obama administration, at the U.S. Department of state and as part of the National Security staff for the White House. The next name on the list is Jamie Fly, who again worked on a presidential campaign of a candidate Donald Trump knocked out of the primaries to become the GOP nominee. Fly was Marco Rubio’s foreign policy advisor. The next name is David Salvo, who before joining the German Marshall Fund’s Alliance for Securing Democracy, which runs the Hamilton 68 website, was a foreign service officer for the U.S. Department of State from 2007 to 2017. His jobs included Special Assistant to the Deputy Secretary of State, Regional Conflicts Advisor, and various other positions. Last but not least is Brittany Beaulieu, who spent the majority of her career working for Democratic politicians. According to her bio she served on the Europe, Eurasia, and Central Asia team on the Senate Foreign Relations Committee advising Chairman Menendez (D-NJ) and Ranking Member Cardin (D-MD). While on the Committee, she contributed to the Support for the Sovereignty, Integrity, Democracy, and Economic Stability of Ukraine Act of 2014, the Ukraine Freedom Support Act of 2014. They found that not only “gun control,” “Nikolas Cruz,” “school shooting,” “school shooter” and “fake news,” topping the political propaganda bots hashtag usage, but so was the leftists favorite hashtags calling for gun reform and gun control. WHY IS THE MSM ONLY FOCUSING ON ‘RUSSIAN’ BOTS, ADS AND TROLLS? 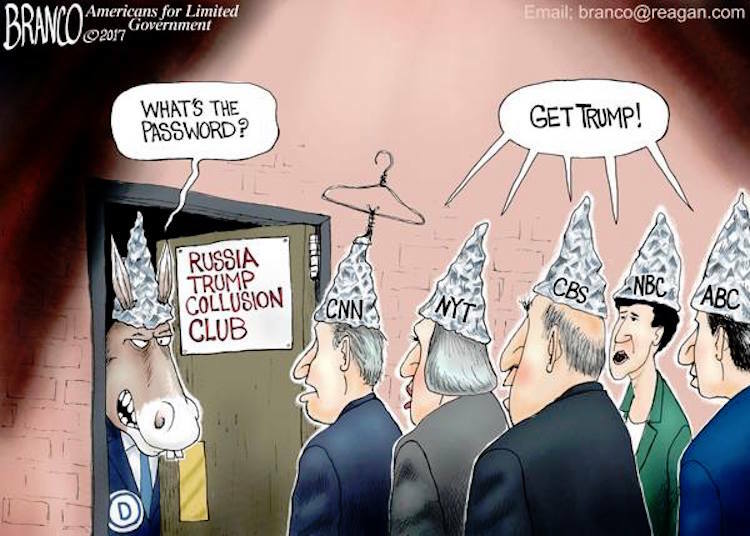 Make no mistake, we are not claiming there are no Russian bots, as we have seen the 13 Russians, who will never be extradited to the U.S. to stand trial, have been indicted by Robert Mueller for setting up fake social media accounts, wire fraud, identity theft, are among the charges, but there are a number of pieces missing from the conversation where the mainstream media wants to focus on only Russia’s manipulation of social media, while ignoring the fact that everybody was using bots, fake accounts and paid trolls to “manipulate” and “influence” the 2016 election. Barely a peep from the mainstream media when Media Matter’s founder David Brock reported they would pay out a million dollars to online “trolls,” to push pro-Hillary Clinton propaganda online. China has a whole army of trolls that go online to attack their critics. They used to be called the “50 cents” because they used to pay these people for patriotic posts, but now they have an army of volunteers to head online and propagate their propaganda. 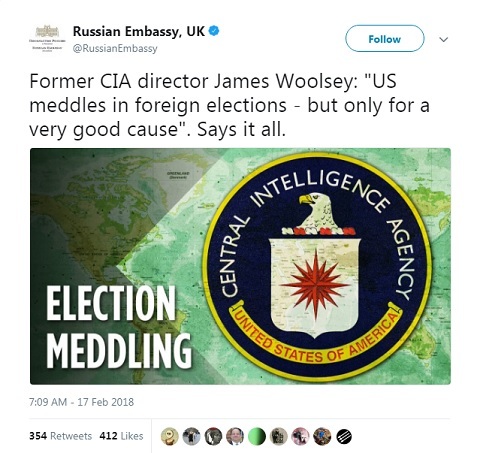 Liberals, the media (yes, I know, redundant) and Democratis politicians are only focused on the “Russians!” yet many countries, including the U.S. have the same type of set-up to push propaganda, and in fact, the U.S. has “meddled” in other countries elections and affairs, far more than any other country in the world. A “good cause” for who? In other words if the U.S. meddles to promote what the leaders believe is something that is best for the U.S., and Russia “meddles” promoting what they think is the best for them, exactly how hypocritical is it to castigate Russia and yet refuse to inform the American people that the U.S. is busy playing the same exact games? It is also noteworthy to think about the things Russian President Vladimir Putin, or his government officials, did not blatantly do. Such as send $350,000 taxpayer dollars to a group to “build a voter database, train activists and hire a political consulting firm,” to oust Israel’s Prime Minister Benjamin Netanyahu in the 2015 parliamentary elections. Nope, that was Barack Obama, but the mainstream media never screamed about “election meddling.”. Putin did not spend $500 million dollars training and arming a rebel group to oust the leader in Syria. Nope, that was Barack Obama. It is very important to remember that some of those U.S. weapons given to Syrian rebels, ended up in the hands of ISIS terrorists. A 200-paged report by Conflict Armament Research analyzed more than 40,000 weapons retrieved from ISIS in the past three years, finding cases in which the weapons were originally supplied by the United States, Saudi Arabia, Sudan and Libya. 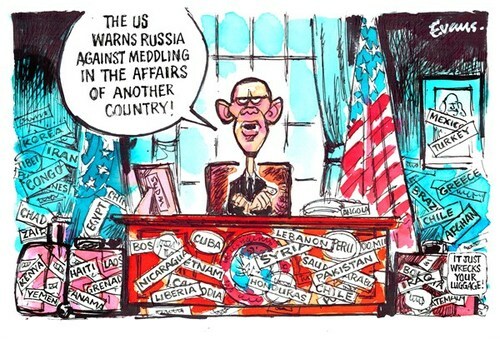 I could go on and on and on about the U.S. “meddling” in the affairs and elections of other countries, but I think the point is made. Everyone “meddles,” and while no American wants another country to do so in our elections, neither do other countries want us meddling in theirs. The bottom line here is even the Mueller indictments against the 13 Russians, states clearly, the Russian’s actions did not “affect the outcome” of the election. In an act that may have been career suicide considering the liberal lean of Facebook and their employees, Facebook Vice President of ads Rob Goldman went on a tweet storm on February 16, 2018, taking on the mainstream media and the “narrative” of liberals, Democrats, Robert Mueller, and the media in their assertions of how “bad” those Russian ads were that were shown on Facebook, and how they were geared to “help” Donald Trump. Then he drops a bombshell, while criticizing the MSM for under-reporting the true facts, by saying “The majority of the Russian ad spend happened AFTER the election. We shared that fact, but very few outlets have covered it because it doesn’t align with the main media narrative of Trump and the election.” Along with that last tweet he offered a link to an October 2017 Facebook Newsroom article, explaining some key facts about the Russian ads. • An estimated 10 million people in the US saw the ads. We were able to approximate the number of unique people (“reach”) who saw at least one of these ads, with our best modeling 44% of total ad impressions (number of times ads were displayed) were before the US election on November 8, 2016; 56% were after the election. • Roughly 25% of the ads were never shown to anyone. That’s because advertising auctions are designed so that ads reach people based on relevance, and certain ads may not reach anyone as a result. • For 50% of the ads, less than $3 was spent; for 99% of the ads, less than $1,000 was spent. 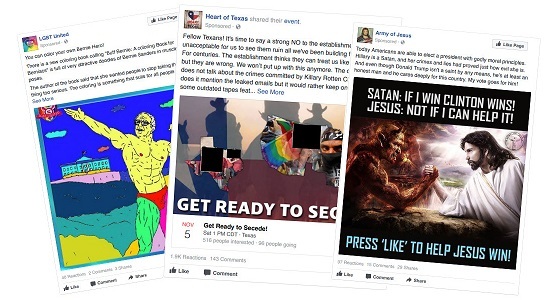 Related: The social media ads Russia wanted Americans to see. I would agree that was their purpose, but I wouldn’t agree as to it working, because Russia did not need to “stoke fear and hatred amongst Americans,” because the mainstream media has done that quite well on their own. So if sowing discord was Russia’s goal, the media has spent the last year handing them everything they wanted, like a gift on a silver platter. 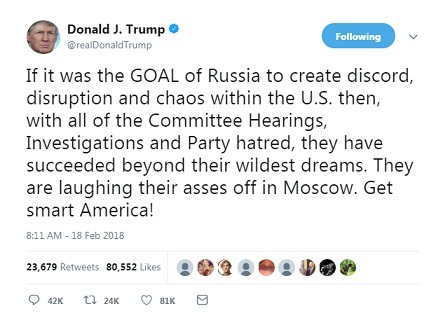 President Trump is right, Moscow is probably laughing their a**es off.